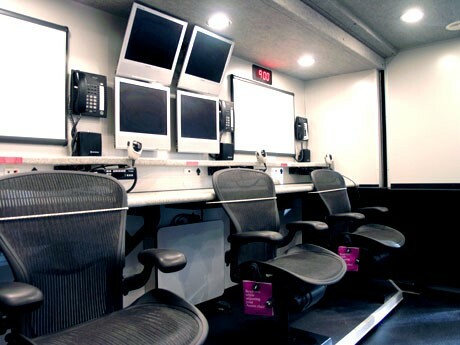 Command 400 can be called by any public safety department in UASI Region 6. How is the unit staffed? The unit will be staffed with 2-3 logistical personnel at all times. How is the unit funded? 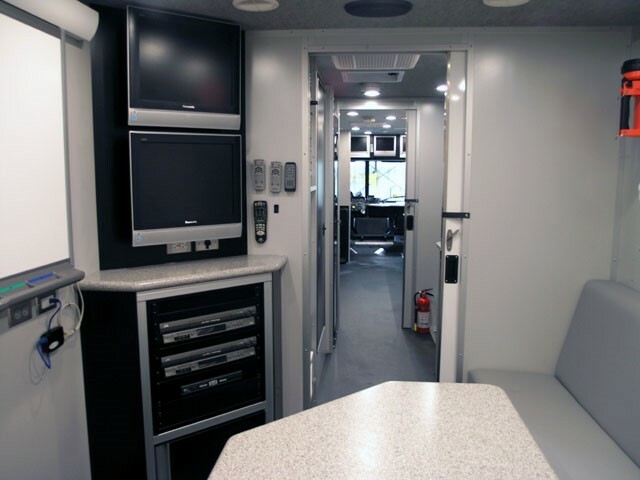 The unit was purchased in 2006 with Urban Area Security Initiative (UASI) funds. 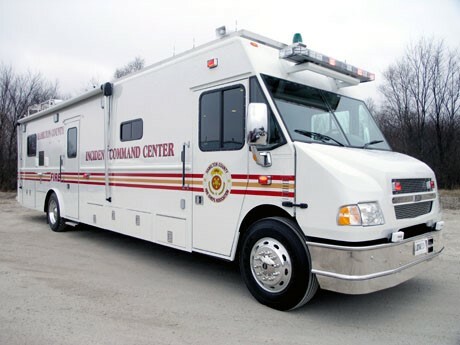 Command 400 is under the direction of the Greater Cincinnati Hazardous Materials Unit and is jointly funded by Greater Cincinnati Hazmat. The Hamilton County Fire Chiefs Association and the Clermont County Fire Chiefs Alliance. The Conference Planning Area features everything you need to stage emergency, on site meetings. A SMART board is linked to a laptop computer for a quick and easy way to plan out strategy, review responsibilities and transmit decisions to the field.